"Believe It Or Not", Shows as one of the nicest configured fast Trawlers that I have ever seen. She looks and shows like a much newer yacht in my opinion and is a very well equipped like a much larger yacht. She is updated with newer electronics and WESMAR stabilized. You will really enjoy the fully Air-Conditioned and heated flybridge with a nice size wet bar that has been enclosed with heavy-duty Isen glass. The Hard Top Fly Bridge has outside, walk around side decks for better visibility. Each of the "Walk Around" 370 HP Cummins diesels provide economical fast OR slow cruising in a Totally Air-Conditioned engine room. Believe It Or Not is a roomy two-stateroom / two-head trawler that will take you anywhere for your Great Loop cruising or down through the Bahamas, western Caribbean, and beyond. The Seahorse 45' (52'LOA) was born in the Chung HWA Boat Yard in China. Many well known yacht builders are from that region of China and Taiwan like, Hampton Yachts, Horizon Yachts, Ocean Alexander, Seahorse and Prima Yachts, DeFever Yachts. Seahorse Yachts became too expensive to compete in the US market and the builder stopped building the Seahorse brand several years later. Most of the Seahorse yachts built are believed to still be cruising around the world today. 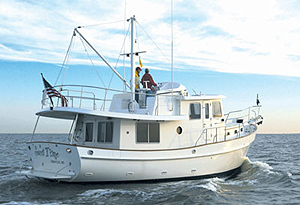 She was built to compete with other Luxury quality Trawler builders, for the US market. Good bones, quality built construction and layup, excellent layout and a very economical stabilized ridding hull, all were the fundamentals for this builder. She truly is ahead of her time and still competes well with most modern quality yacht builders today. Don't miss this beautiful yacht, she will not be around very long! "Believe It Or Not" is a very spacious Two Ensuite Stateroom yacht. She is classed as a Fast Trawler capable of 16 knot speeds WOT. Step from the covered cockpit aft through chrome glass sliding glass doors into the large one level deck salon, custom Couch to port, Entertainment center and desk to starboard, U-shaped galley to starboard and U-shaped dinette to port. All surrounded by the biggest glass windows I have ever seen on a yacht this size, grand panoramic views. Down three steps to the guest stateroom to port with a double bed and ensuite head to port, forward to the master stateroom with ensuite head forward, with a full size separate washer and dryer. Also from the cockpit, there is a circular built in staircase up to the enclosed air-conditioned flybridge and an electrically-operated deck hatch down to the lazarette and Air Conditioned engine room. There are port and starboard exterior walkways with high bulwarks and stainless steel railings keeping things very safe with two small steps to the bow. 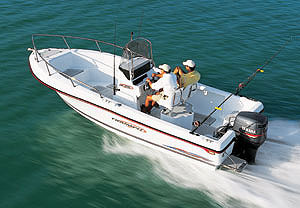 All areas including the flybridge and engine room are air-conditioned. Teak bulkheads and cabinetry and teak and holly cabin soles are provided throughout. Both heads have air-conditioning and ventilation fans and large showers. This is a very clean ahead of its time built yacht with a excellent well planned layout. The salon is entered from the sliding glass doors in the cockpit. You immediately notice the spaciousness due to the wide beam, high overhead, and large opening windows. There is a white leather storage couch, hi-lo coffee table, desk, silhouette blinds, screened rear door, lamps, rattan chair, and entertainment system with LCD TV and DVD player, CD player, stereo, Bose speakers and ice maker. Sole is teak and holly. Tabletops and drawer fronts have beautiful inlaid burled veneer. 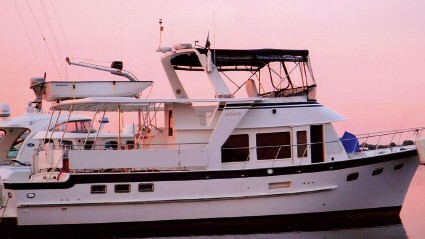 The salon, dinette, galley and cockpit are all on the same deck level making it very easy to transition on one level. The master stateroom is forward with centerline queen size bed, easy to make the bed clothes up, larger hanging lockers port and starboard, teak and holly cabin sole and abundant teak cabinetry for lots of extra storage everywhere. An escape hatch to the foredeck provides light and air and incorporates a screen and cover. The ensuite head includes electric toilet, separate shower and Full size seperate GE Spacemaker washer with a separate vented air dryer. The Tank Watch System for the 50-gallon holding tank is in this head. The sole is teak and holly and the doors are inlaid burled veneer. The master is very open and spacious, plenty of room for storage and moving around. The guest VIP stateroom is just aft to port with double bed plus an insert to make even a larger berth, hanging lockers, plenty of drawer storage, teak and holly cabin sole, teak cabinetry and ensuite head with electric toilet and shower. Here too you have the beautiful inlaid burled veneer doors. The U-shaped Gourmet galley is forward and to starboard with plenty of storage and counter space to cook up a feast. The U-shaped dinette is up one step to port. All are SURROUNDED by hugh Glass Windows for unbelievable panoramic views. 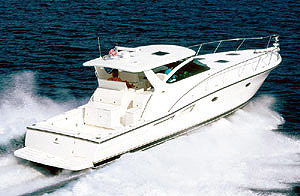 The huge Hardtop Flybridge and Helm Station can easily seat 8-10 in Air-Conditioned/Heated comfort. Plenty of extra storage underneath the bench seats. Sidewalk bridge Side decks for even better bridge visibility. 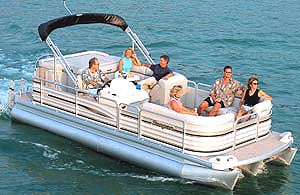 Large aft deck for seating and lounging. Molded in heavy duty steps with heavy railing up to the bridge makes it easy for anybody to transverse. This bridge is Mega size and perfect for entertaining anytime. The engine room and lazarette are located under the main hatches in the salon and cockpit. 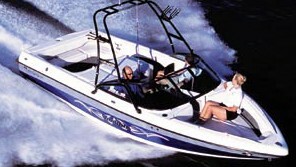 The engine room is quite spacious with almost five feet headroom and extensive storage volume.